So many personal celebratory typographic posters out there for Helvetica, felt the need to create my own celebratory poster, with my own words of wisdom. With a specific mention to Max Miedinger. 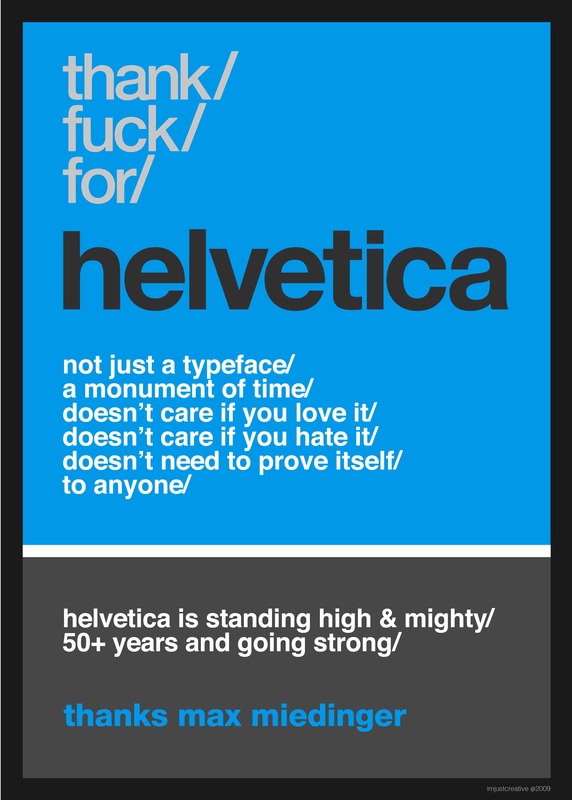 The next Helvetica Poster is one that mentions the great man behind the greatest typeface of all time, Eduard Hoffmann. The main files are on Flickr at around 21cm wide at 304dpi. Should anyone wish a larger version for printing, then just ask. The original file is all vector, so easy enough to scale up in Illustrator. Happy to send you a Illustrator vector file if you would like it. I am happy to supply the original Illustrator file to anyone who wishes to have it for the purposes of print reproduction only. Please do not alter the contents of the file. Sometimes using expletives is just the right thing to do. Let’s not beat around the bush.